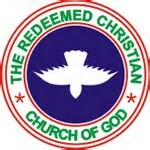 An angry woman has called out the Redeemed Christian Church of God (RCCG), accusing them of refusing to return N24.7million deposited by a member suspected of fraud. An aggrieved Instagram user @emilianhair, took to her page to air her grievances with the RCCG after allegedly being defrauded of about N100m. According to her, about 24.7m was traced to an RCCG account, and even after the suspected fraudster confessed to have deposited the money in the church, they refused to return it. Efforts to return the money have reportedly proved abortive, as the pastor claims the money had already been forwarded to the church headquarters. "Was defrauded by a member of the redeemed Christian church of God of over 100m...24.7million was traced to the church account, the man sent the said amount to the church in a week..which is questionable..he also bought them 18 seater brand new hiace bus...he suspect confessed verbally at the police station asking the pastor to help refund the money back. The pastor confessed at the police station that the money was sent to redeem headquarters... the police have written to the headquarters to refund the money which can't be kept cos it's proceed of fraud... but the church headquarters have refused to refund the money after series of letter has been written to them by the police, if a church cannot be sober for accepting proceeds of fraud by returning the money,then where are we heading to....Judgement of God shall surely begin from the church...They will be embarrassed when the time comes...pls share till it gets to Pastor Adeboye.."
"Redeemed Christian church of God makes 9billion monthly 24.7million is nothing to them..someone committed s*icide cos of the money already I won't stop till I get justice.."